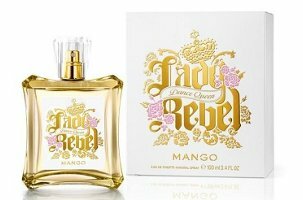 Spanish fashion brand Mango has launched Lady Rebel Dance Queen, a new flanker to 2009′s Lady Rebel, and a follow-up to 2011's Lady Rebel Rock Deluxe. Notes include berries, grapefruit, jasmine, cashmere wood and amber. Mango Lady Rebel Dance Queen is available in 100 ml Eau de Toilette. and we all thought VS has ridiculous names? This one is so ridiculous it’s sort of awesome. Lady Rebel Dance Queen! By Mango!